Why is this mountain not labeled? It can happen that the true summit is not visible from your location, especially if you are observing from below and close range such as in a valley. In the following example the inhabitants of Naters will tell you that this mountain is the Riderhorn. 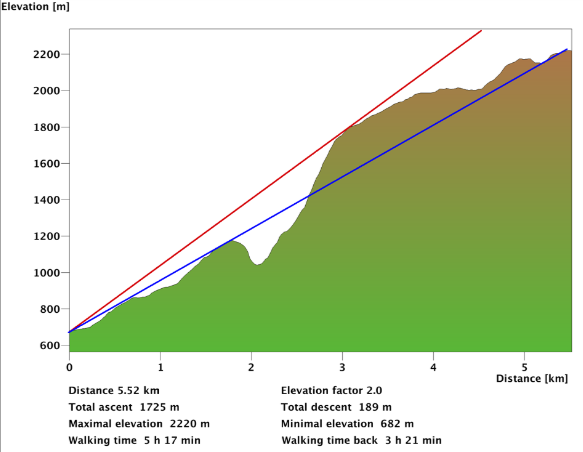 However, as shown on the graphic, the true summit (blue line) is hidden by a ridge (red line). 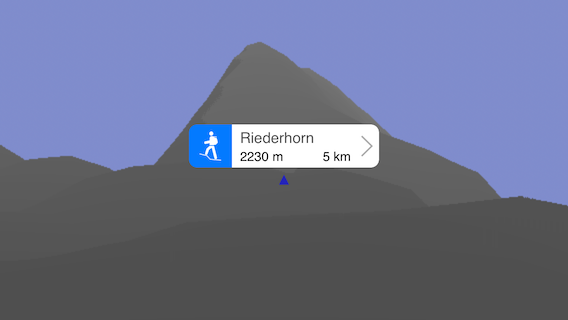 This can also happen with an intermediate summit or if the true summit is hidden by a closer mountain. In the settings button the “Report a problem…” action can be used to compose an email to us. Please take the time to add a description of the problem. This helps up to make Point de Vue better.